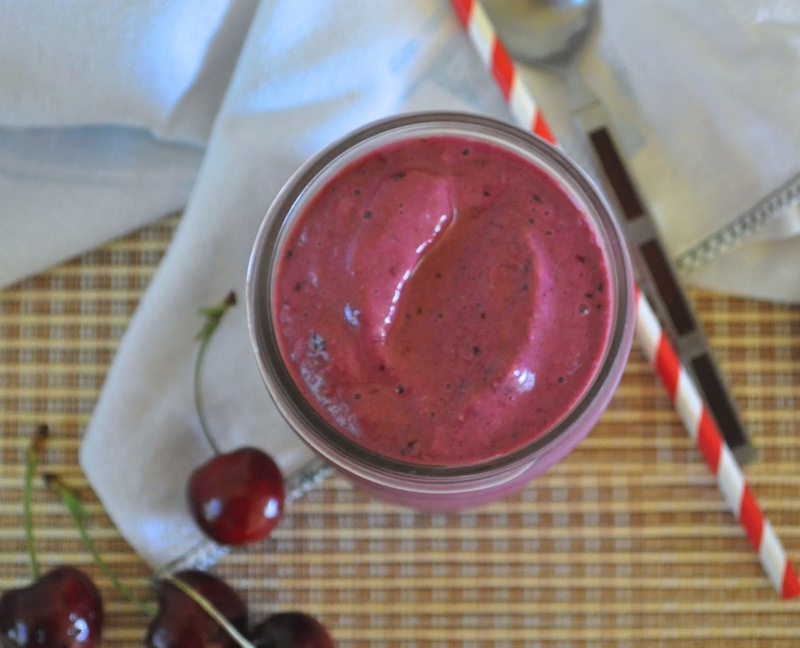 If you’re looking for another option on the smoothie making front you might want to try my Cherry Cheesecake Smoothie, seriously. Fruit meets graham cracker crust and tangy yogurt for a delicious cheesecake taste with less of the fat and calories of real cheesecake. It’s our new favorite; I bet it could be yours too. This smoothie started life in recipe development as a strawberry cheesecake smoothie, but I kept having to add too much sugar to actually make it anywhere near sweet enough and that just turned me off. I guess the strawberries I was using just weren’t sweet or probably just weren’t ripe enough to use without a bunch of sugar.  That’s pretty common up here in Alaska, when berries are picked when they’re unripe and sent in hopes that they ripen. Annoying as that is, the other option is to send perfectly ripe berries and have them rot on the way. Frustrating but understandable. Stumped and totally out of strawberries I turned to cherries in hopes of having better luck. Cherries are one of my favorite summertime treats, they’re grown in the Northwest so you know they arrive fresh and practically perfect! 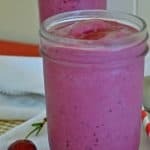 First one out of the Vitamix was a HIT with my sons but my husband, who came home later, was a doubter when I told him how much it tasted like cherry cheesecake. People he poopoo’d me! I don’t understand this man sometimes. There was nothing to do but prove it. So I did. So I made another batch, and he HAD to agree with me that they were in fact as good as I’d said. I made one more batch because we were hot, er no in the name of recipe testing, and we decided they were good to go. 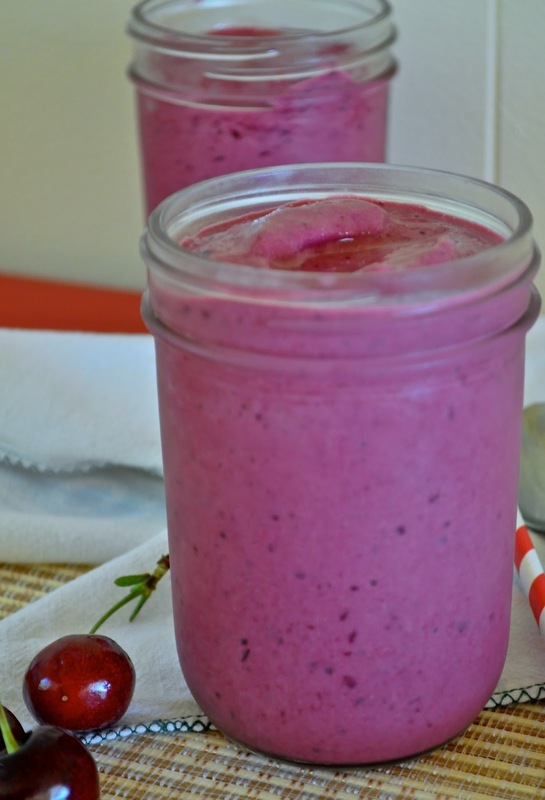 If you're looking for another option on the smoothie making front you might want to try my Cherry Cheesecake Smoothie, seriously. Fruit meets graham cracker crust and tangy yogurt for a luscious cheesecake taste with less of the fat and calories of a true cheesecake. It's our new favorite, I bet it could be yours too.